1 piece high impact plastic tubing makes these hurdles very strong. Four hurdles in each set. Hurdles are 18' wide. Free Carry Strap. 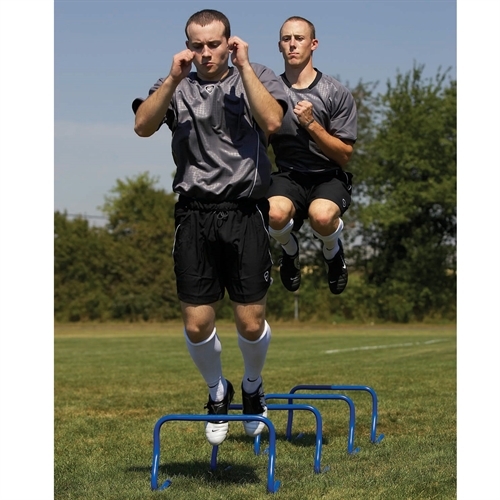 Our KwikGoal 12" Speed Hurdles are part of Kwik Goal's Speed Training series. Features 1 piece high impact plastic tubing makes these hurdles very strong. Four hurdles in each set. Hurdles are 18' wide.